The days were getting sunnier and happier, but on the very day, it was exceptionally chilled. We were stationed on the way to the picnic spot, beautiful and harmonious place right next to BajraBarahi Temple. The journey started at 8:00 AM and none of us, Deerwalkers, had their long Sunday morning sleep that day. I was glad to volunteer to arrange music for the picnic as a new member in the Deerwalk family. I was hoping that the picnic would be as fun as the college days. And no wonder, my expectations was surpassed and beautiful at that. The main attraction to the team building exercises was the pot-breaking game (ghaito-phutaune). It was a joyous day full of laughter, food, games, and what not. The fun games and occasional jokes cracked among my co-workers took the laugh riot to a whole new level. 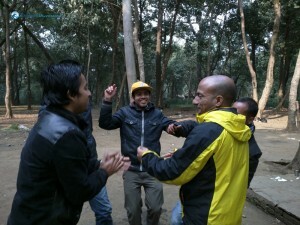 The team building exercise was a lot of fun as well. 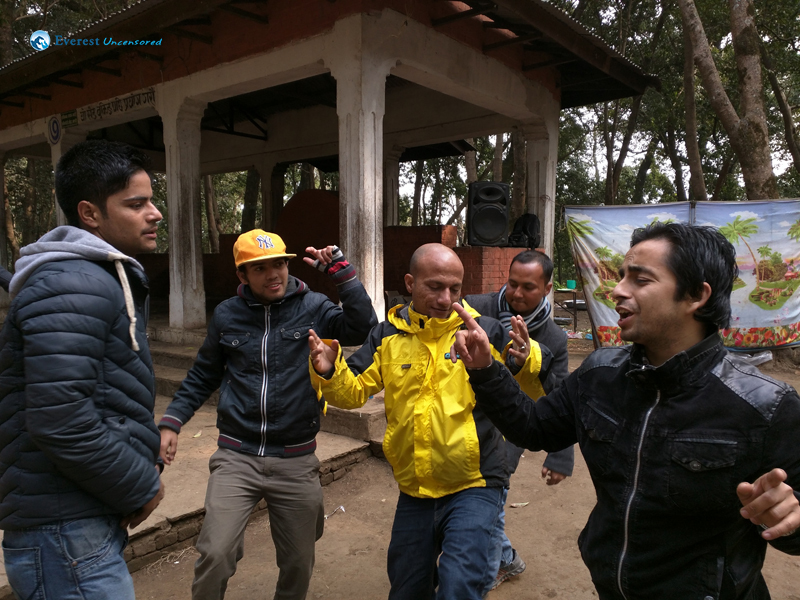 With the travel and the team building exercises we got plenty of time to introspect, while with the dancing, food and the laughter shared we came to know more of people other than us. The main attraction to the team building exercises was the pot-breaking game (ghaito-phutaune). 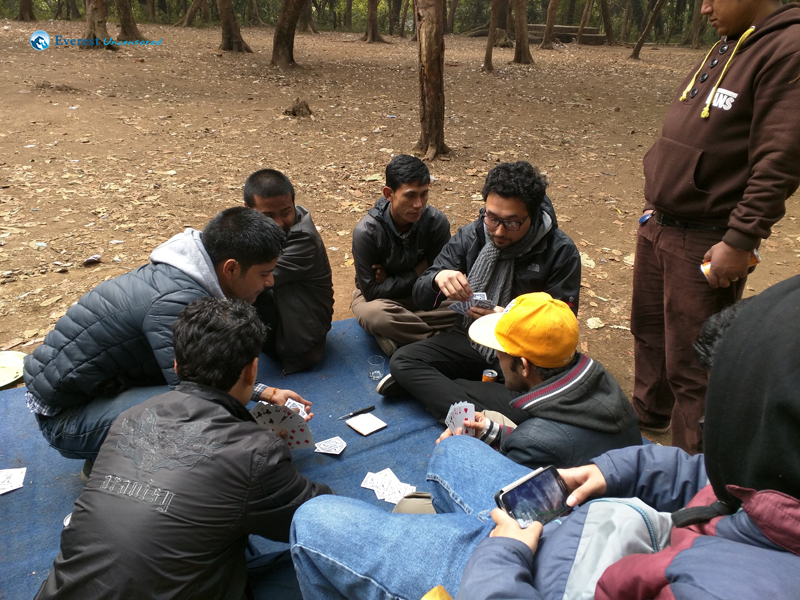 It was so much fun and was a great example of teamwork among us. 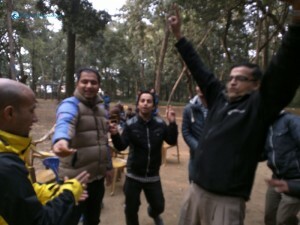 Light hearted fun among all the fun loving Deerwalkers was as wonderful as it was a great experience. After a week of battling poll between the two dates; the amorous Feb 14 and sober Feb 15; the results aligned with Feb 15 (Sunday). For me, the polling was merely achromatic. All the Squad A team members were pre-informed, the venue (BajraBarahi) was decided and the arrangements were all carefully planned. 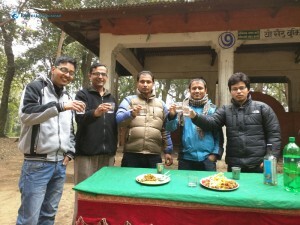 An amalgamation of three sub-teams: Products QA, Makalu and Genomics, were thought to be a funny steer in the picnic program. 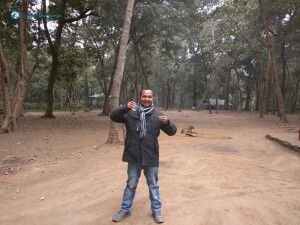 With the cool breeze and a kind of lethargic morning-in the absence of a bright sun, the day was not so revealing. I got up, finished my chores and headed towards Kalimati. Swings of ecstasy and rapture hovered inside me for the picnic was a maiden, since my days at Deerwalk. We troopers, loaded in two buses, began our drive to a nearby serene and tranquil Bajrabarahi, about 4 miles away from Chapagaun Dobato. We were a little disappointed with the absence of the sun, but we were all prepared without its presence. Actually, I had been there before, so I found the place to be calm and stark venue for a picnic. 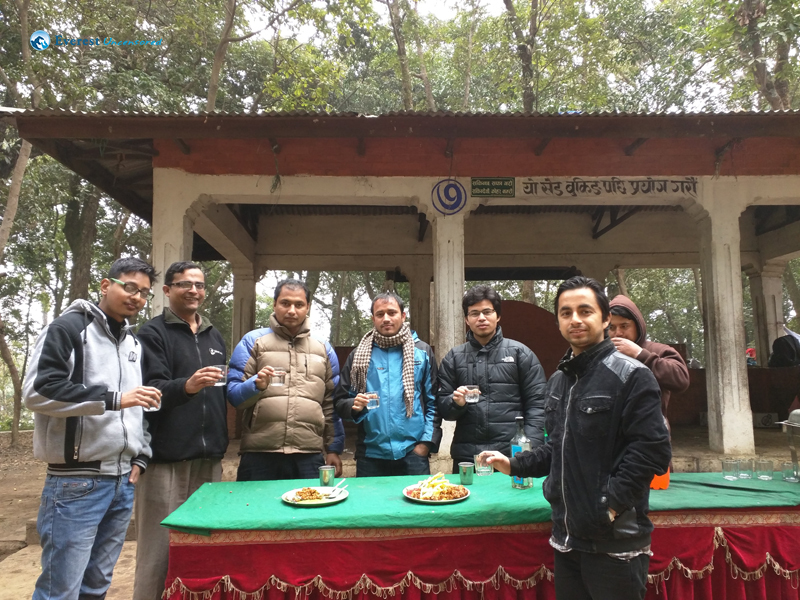 Surrounded by greenery and lush vegetations, growing in the aroma of rough sub-Urb/village aroma, the picnic spot was nearby the Bajrabarahi temple. To our utter surprise, all the arrangements for the breakfast had been already made when we arrived there, thanks to our hardworking coordinator Raghu. To our surprise, we saw a team of Deerwalkers coming to our camp. 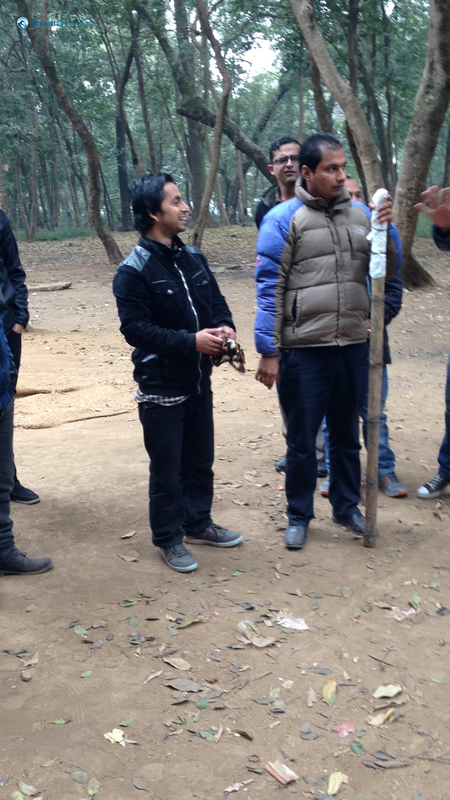 Yes, Rudra dai and his hiking team conjoined us with their glorious presence. After a quick visit to the nearby Bajrabarahi temple; boiled egg, jammed-bread, tarkari and tea were served in the breakfast. 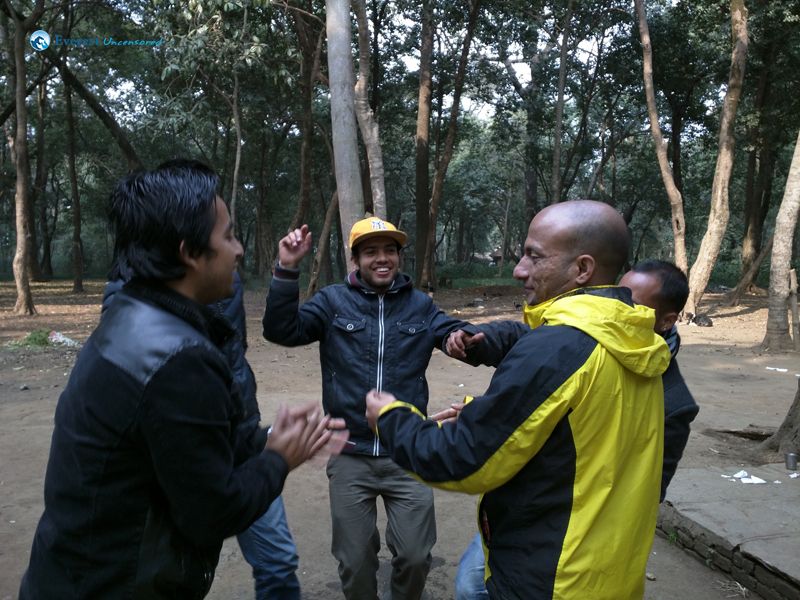 After ravaging our hungry bellies, the team building games were on. 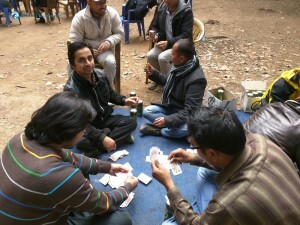 “Breaking the pot” or “Ghaito futaune” was the game scheduled. 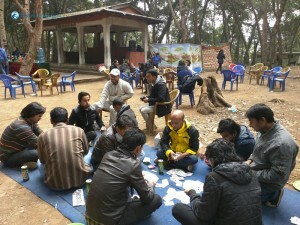 Some of the members assembled themselves in the “House of Cards”. All of us were really excited. Three pots were the targets and everyone was eager to break it on their inaugural shot. The game was initiated with Prakash Bhatta dai’s blow; hmm, he was seen as the victor, breaking the first pot in his initiative shot. But later, it was found that his blindfolded eyes had experienced a panoramic view of the sweet pot. The blinding rules were made stringent, two folds were used. 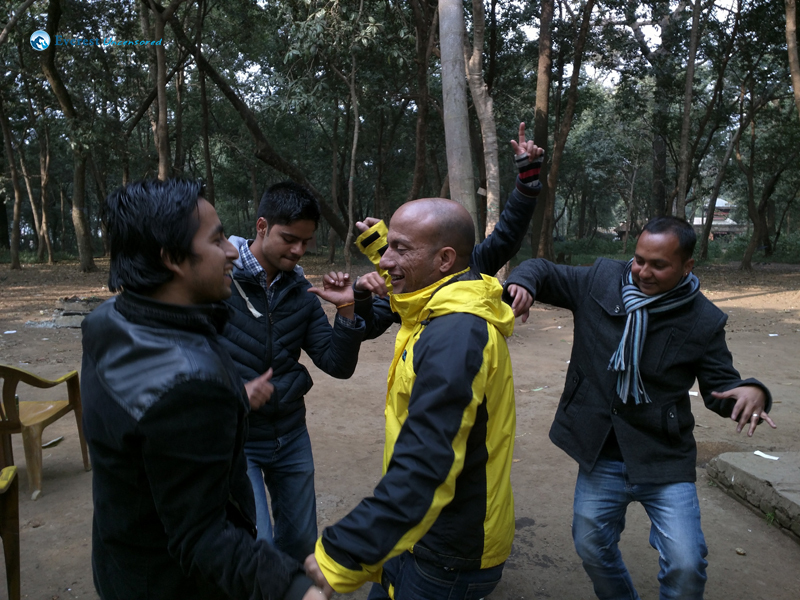 Apsana, Prakash, Meena, Nisha, Kamal, Dheeraj, Sulekha and Lava dai were some of the soldiers to try and vouch for the title, but destiny had its fate. 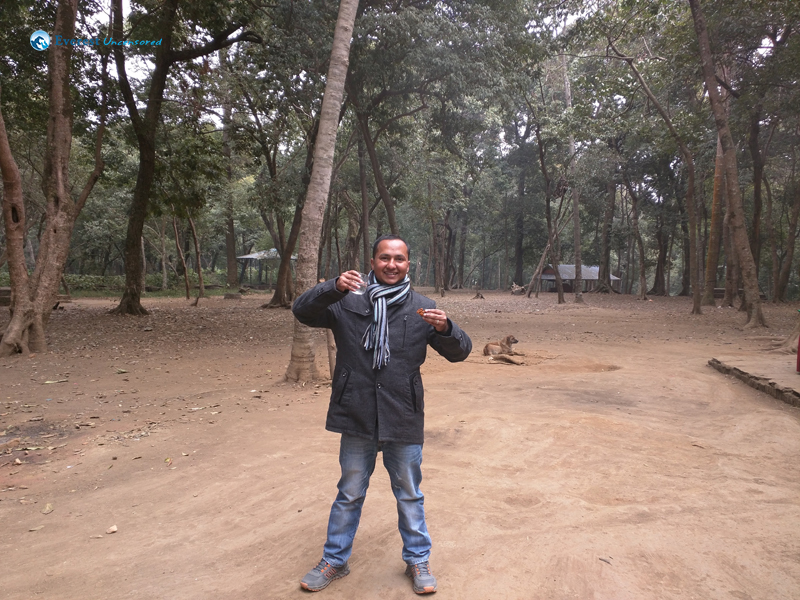 The pot was finally broken by none other than our coordinator, Raghu. Chocolates were distributed to the participating members. 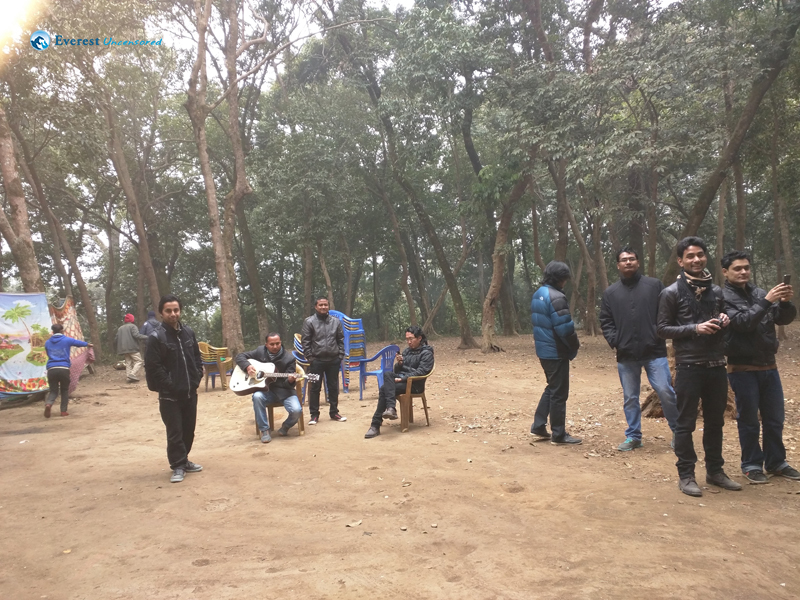 Then the team members were scattered with ease motives; some of them grabbed this opportunity to discover the nearby niche and opted for a short hike. Nitish, Pratap, Som and Niroj hiked to a nearby hilltop, 40 minutes away from the picnic venue. 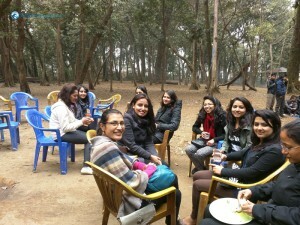 After the hike, this step was iterated by the girls’ team as well. 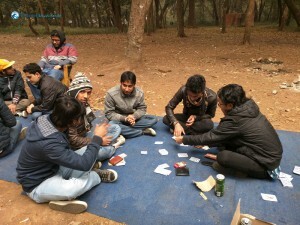 The card game was in aggressively expanded with more than 4 teams playing. 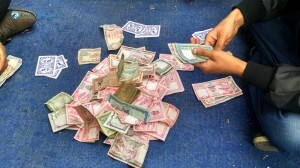 A major team of players (Kapil dai, Biswas, Suresh, Naren dai, Mani and others) was seen with a pile of money in between. I also joined with Prakash, Nitish and Niroj for a marriage card game to celebrate. 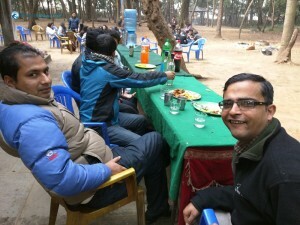 All the interested ones were served with chilled beer and juice. 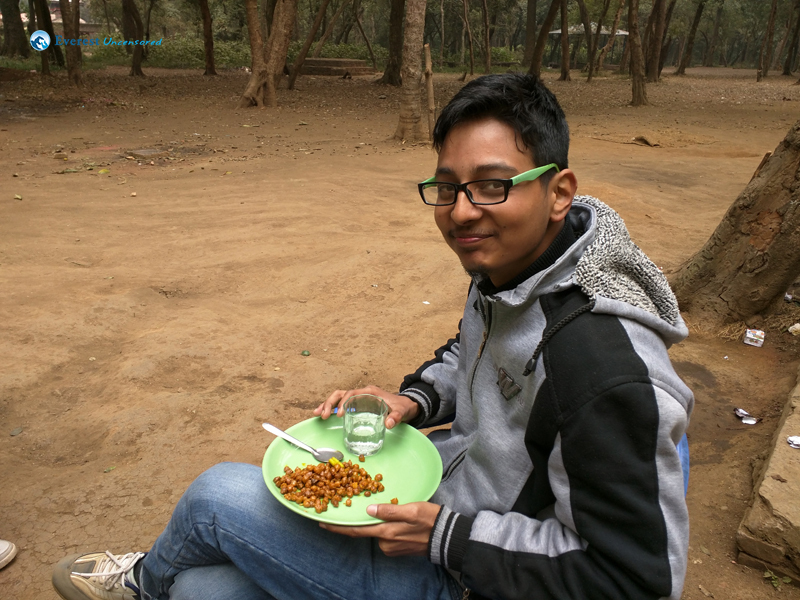 At around 2:00 PM, the snacks were served. 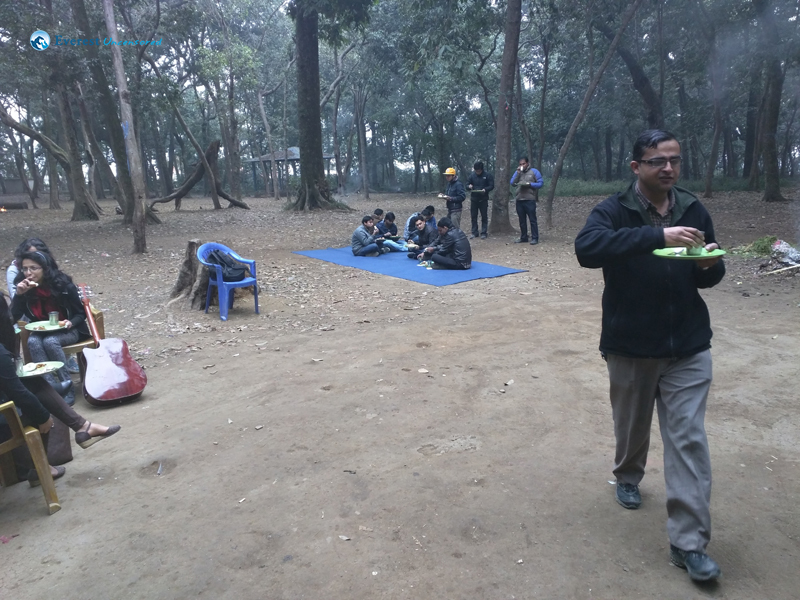 The environment was startling to be sunnier as we began seeing the SUN sneaking through the trees in our picnic camp. With the increase of the sun’s presence and delightful music playing, some of the friends began tapping their feet. To our surprise, we saw a team of Deerwalkers coming to our camp. Yes, Rudra dai and his hiking team conjoined us with their glorious presence. We were entranced and delighted to see some of the funny moves by Lava dai like running, sit-ups, and climbing a tree as well. 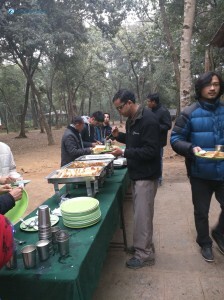 At around 4:00 PM, the lunch was served and we all had a bon appetite. It was a full course meal and all of us, grabbed every bit of its flavor. The music was flowing and the dancers never had a tired foot, after all, we had gathered for a respite. 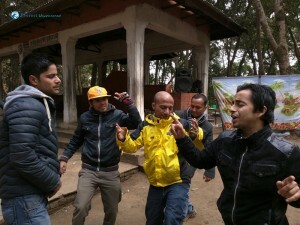 Kapil dai, Sandeep, Ganesh, Dheeraj and myself (Supreet) were some of the names not to be missed around the dancing session. The moments we shared during the picnic; making new friends with other teams, building a strong squad and getting to know each other better, will always be beneficial in personal and professional level. 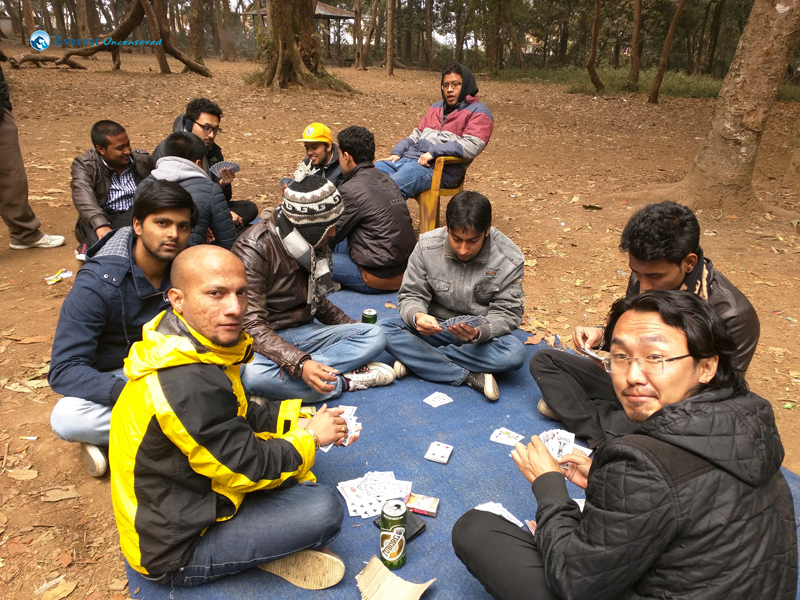 I am thankful to the whole Deerwalk family and the Squad A team members for such a nice team picnic and hope to be a part of such further team outing in the days to come. 5. OMG,Beer is too chilled!! 8. Wait,Let me give a pose first!! 11. Playing cards is a real fun!! 12. Yeah!! 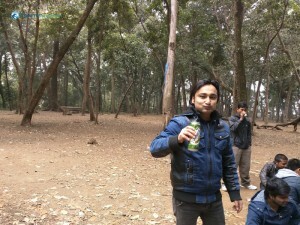 I am Enjoying!! 15. 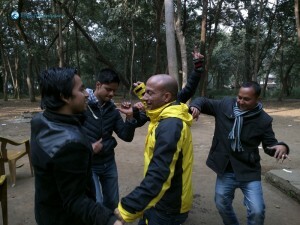 When I say party, I mean this!! 17. We are party animals!! 18. 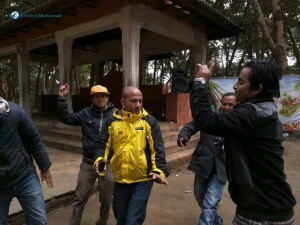 No one can dance like me!! 19. One and only Lava dai!! 21. Follow my steps guys! !